The Oakland Slam is still going and not only is it a Poetry Slam now but it is also sometimes a Comedy Slam. The nights are 2nd Thursdays but they tend to vary so you’re going to have to check out their Facebook for most relevant times and dates. The venue seems to change a lot. I’m not sure if they’ll ever get a solid home. They have been at Oasis, Spice Monkey, New Parkway, Studio 361, Awaken Cafe and so on. As long as there is gentrification in Oakland, they will have a venue and crowd! But seriously, check these guys out, the events are in Downtown Oakland only blocks from BART. 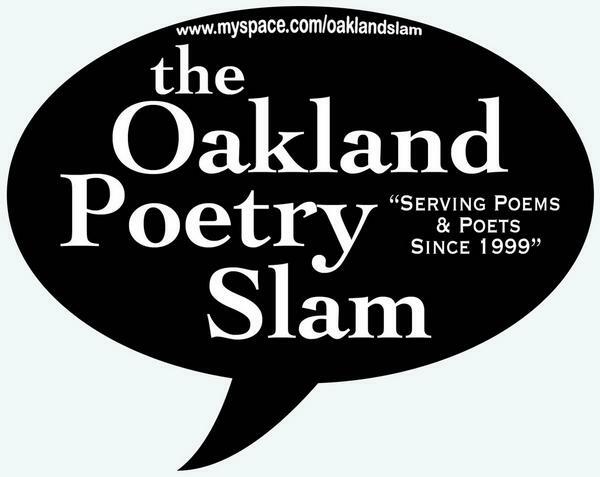 Oakland Poetry Slam, Comedy Slam and open mic nights in Oakland. Hello I am interested in doing stand up comedy. Please let me know how to sign up. I am looking forward to hearing from you or someone from your staff. Thank you kindly.